Yesterday’s Advisor covered what employers can’t do when fighting off unions; today, eight steps you can take, plus an introduction to an extraordinary program prepared especially for smaller—or even one-person—HR departments. Once again, we turn to BLR’s managing editor of HR.BLR.com, attorney Patricia Trainor, SPHR for advice. In addition to communicating with employees about unions, Trainor says, it is critical that employers take steps to establish a workplace that is not vulnerable to unionization. It’s most important that employers take steps to maintain their union-free status now, before a union targets your workplace. If an employer suddenly changes its policies and/or practices when a union campaign begins, it’s likely to be accused of an unfair labor practice, and that could be hard to defend against. For example, after a unionizing drive starts, you suddenly announce that you’re going to institute a grievance process. Suspicious timing to say the least. Institute your grievance process now and let it start working, Then there’s one less thing for the union to promise and no unfair labor practice charge. Start at the beginning. From the very beginning of the employment relationship, let your employees know your opinion on unions and why a union would not be right for your organization. 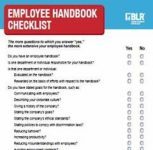 Include a union position statement with orientation materials and in the employee handbook. Be pro-worker, not anti-union. If employees feel that they have a voice at work, they are unlikely to look to an outsider (i.e., union) to provide them with one. Supervisors and managers should have an open-door policy so that employees feel that they can raise issues and concerns without fear of retaliation. Remember the Golden Rule. We all want to feel that our work is valued. Make sure that your company has competitive pay practices in place, and that you recognize employees for doing a good job. Managing an HR Department of One was recently recognized as one of SHRM’s “Great 8” best-selling products. Examine it at no cost or risk for 30 days and find out what all the buzz is about. Run a safe, secure, and fair workplace. 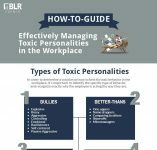 Survey your employees to learn how they feel about these issues, and respond to employee concerns. Communicate. Communicate. Communicate. Have an interactive communication system in place. Give your employees a voice in decisions that affect them. Explain unpopular decisions. Discuss with employees decisions that are unpopular. Explain why they are important to the company. Be responsible. Take responsibility for your decisions—the good and the bad. Have an effective grievance procedure in place. Make sure employees know how to file a complaint and raise issues of concern. If employees feel that their concerns are heard, they are less likely to turn to a third party, i.e., a union, to be their voice with management. Again, take these steps now and don’t hesitate to candidly discuss unions with your employees. Impending union organizing, one of, what, a dozen critical challenges on your desk? From hiring to firing, HR’s never easy, and in a small department, it’s just that much tougher. Explanation of how HR supports organizational goals. This section explains how to probe for what your top management really wants and how to build credibility in your ability to deliver it. Feel as if you’re all alone in HR? Take on a partner—Managing an HR Department of One. Examine it at no cost or risk for 30 days. Get more information. Training guidelines. No matter the size of your company, expect to conduct training. Some of it is required by law; some of it just makes good business sense. Managing an HR Department of One walks you through how to train efficiently and effectively with a minimum of time and money. Prewritten forms, policies, and checklists. These are enormous work savers! Managing an HR Department of One has 46 such forms, from job apps and background check sheets to performance appraisals and leave requests, in both paper and on CD. The CD lets you easily customize any form with your company’s name and specifics. If you’d like a more complete look at what Managing an HR Department of One covers, click the Table of Contents link below. Or, better yet, take a look at the entire program. We’ll send it to you for 30 days’ evaluation in your own office with no obligation to buy. Click here, and we’ll be happy to make the arrangements.